Hey guys, Samsung is currently turning devices to wallets, you want to know how? Read this! 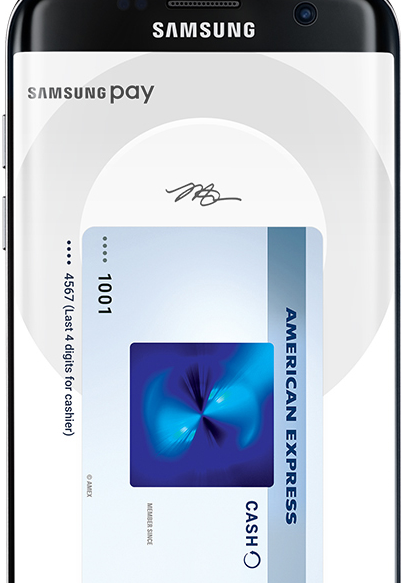 Use your credit, debit, gift, membership and rewards cards on Samsung Pay. It’s accepted at your favorite spots to make checkouts easy and deals hard to miss. Now Samsung Pay lets you earn points for every purchase, which you can use to redeem rewards. 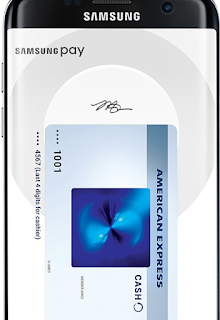 Plus, when you participate in eligible promotions you can get value back on your Samsung Rewards card. The more you use Samsung Pay, the more rewards you get.3 Earn ten points for every qualifying purchase and get rewarded with everything from a Samsung Rewards card to a Gear VR. Find the app pre-installed on your phone or download it off Google Play. Then, sign in to your Samsung account. Scan your fingerprint and enter a pin, so you can authenticate future purchases. Snap a picture of your card, and provide your signature where necessary. Head over to your favorite store and see how easy it is to check out. With Samsung Pay on your watch, you can pay almost anywhere you can use a credit card.5 No wallet or phone necessary. Samsung Pay on Gear is available for anyone with a Gear S2 or S3 device and compatible Samsung or other android Smartphone.Samsung Pay on Gear has the ability to make mobile payments virtually anywhere you can tap or swipe a credit or debit card. With Magnetic Secure Transmission (MST) and Near Field Communication (NFC) support built-in, Gear S3 users will be able to make a purchase with Samsung Pay which is widely accepted across the U.S.